Project: Start Saving | Project | Kids VT - small people, big ideas! Want your child to understand the value of a dollar? Take that birthday check or full piggy bank to your local bank or credit union. Starting a savings account is a terrific way to introduce your kid to the ritual — and satisfaction — of setting money aside for something special. It's less tempting than keeping money at home — and safer, of course, because the deposits are insured. Why a savings account? Most kids don't need a checking account until they are old enough to hold a job. Still, ask your bank if debit cards are available. 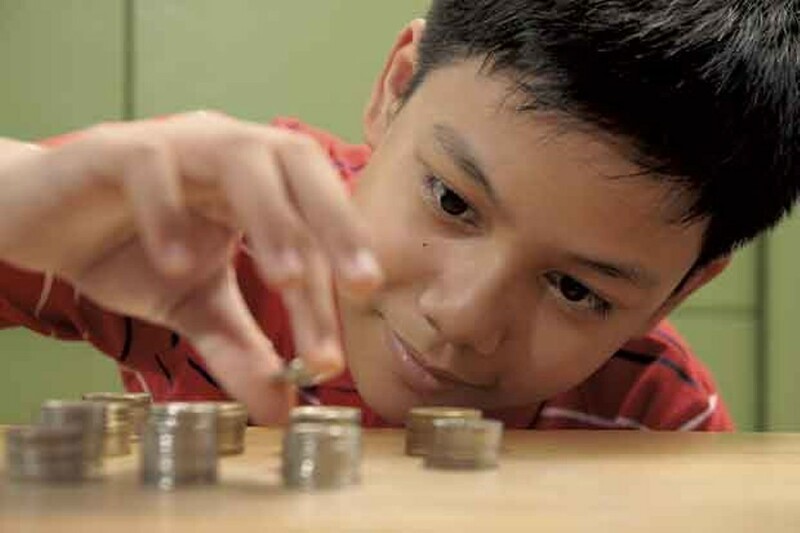 It's smart to reward kids' good habits with access to their money when they need it. Parents looking to save enough dough to send their little Einsteins to college should check out Citizens Bank's CollegeSaver Program. If you open the account for a child under 6 and make a savings commitment of $25 a month, the investment pays off: When the kid turns 18, the bank hands over an additional $1,000. For children ages 6 to 11, a $50 monthly deposit has the same result. Learn more online at citizensbank.com. As kids get older, financial literacy becomes even more important. Savers ages 16 to 21 can sign up for New England Federal Credit Union's online financial seminars. The payoff? Some valuable know-how, and a $25 deposit. For more information, visit nefcu.com, click on "Plan and Learn" and select the Young Adults program. With the Superduper Saver Account, kids ages 18 and under get two free movie tickets when they make monthly deposits of any amount for three consecutive months. Young account holders also get a tiny safe-shaped bank to save their pennies in at home. For more information, call 660-4751. The Young Saver Account has no minimum balance and lets kids improve their minds while growing their bottom line. Youngsters who read 10 books through the bank's summer reading program get $10 added to their accounts. Learn more at tdbank.com/summerreading. Share your fun project and craft ideas with us! Send them to ideas@kidsvt.com.